When Jacob (Asa Butterfield) discovers clues to a mystery that spans different worlds and times, he finds Miss Peregrine’s Home for Perculiar Children. But the mystery and danger deepens as he gets to know the residents and learns about their special powers. 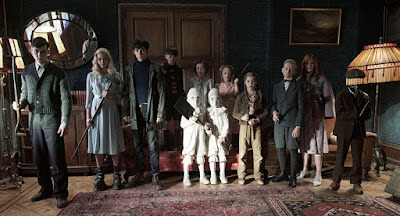 Based on Ransom Rigg’s young adult novel, Miss Peregrine’s Home for Peculiar Children is Tim Burton’s 20th feature length film. 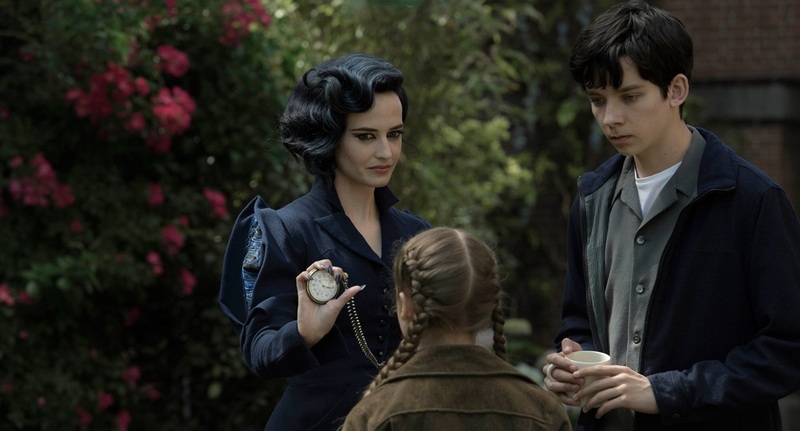 The 58 year old who hails from Burbank, California teams up once again with Eva Green, after their first collaboration on Dark Shadows (2012). I’ve never been a die hard Burton fan. However, having said that when the director has knocked them out the park with such movies as Edward Scissorhands (1990), Ed Wood (1994) and Sleepy Hollow (1999) I've had a blast. Of recent years his kettle has come somewhat off the boil. The trailer for Peregrine’s Children had me intrigued though so I decided to check it out. I wish I hadn’t, Burton’s kettle is now no longer just off the boil – it’s stone cold. The movie centres around Jacob a teenager living in 2016. He has a pretty boring existence with the sole exception of his relationship with his grandfather played effortlessly by Terence Stamp. 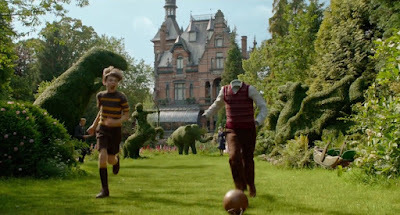 Jacob grew up on the fantastical stories of his grandfather about a mysterious Miss Peregrine and her home with special residents. This leads Jacob to attempt to track her down and see if there is any truth to these wondrous stories. The main issues I had with the movie are as follows. Firstly, the cast. Asa Butterfield as Jacob just can’t hold the movie by himself. He was as dry as toast. I’m sure given other material he’s a good actor, but here I’m afraid to say he was not. Eva Green as the titular character was nice eye candy (It is Eva Green after all) but I found her over clipped pronunciation of everything to grate on my nerves, and given the fact she headlines the film is not in it for most of the third act. Most of the heavy lifting acting wise was left to Ella Purnell as Emma Bloom one of the “Peculiar” children who did the best with what she had. Also this isn't strictly casting but I found I wasn’t particularly drawn to any of the special set of skills of any child. Finally for casting, this movie also served as another pay check for Samuel L Jackson, what started as a fairly decent villain descended into a laughably cartoonish bad guy. He goes from menacing to just playing it for laughs. Another issue was the pacing. The first act which predominantly takes place in the present day is very slow and lasts forever, I can remember thinking – “Are we ever going to see this lady and her house or not?” Then when we do finally get to see the house and are introduced to it’s keeper and residents, Jacob is suddenly back in the present day with his bland Dad phoned in by Chris O'Dowd. Then Jacob is back in the 1940’s and so and so on. The time shifting was not at all well handled and didn't feel organic. As a result, the movie really dragged at just over 2 hours. However, I was in no doubt from a visual point of view that I was watching a Burton movie, with some nice stylistic touches throughout. Although some CGI was a little dodgy. This is where the similarities with the afore mentioned Burton projects ends. The story in this movie swings from boring to just incomprehensible. Finally my other issue with the movie is just how scary it is for a 12A. This movie for children is proper scary. When I arrived the trailers where in full swing with the likes of Trolls, Moana and Sing being shown, all fluffy animated movies. So the predominantly family based audience where sitting nicely, tucking into popcorn and that extra large coke when they are treated in the main feature to the likes of characters eating eyeballs, one character bringing nightmarish dolls to life (Think of Sid’s creations in the original Toy Story) with living hearts, and characters without eyes. Now I know it’s a Burton movie, and that most of his movies have imbued a certain macabre horror element but I would expect that in films such as Sleepy Hollow and Sweeney Todd, but a children’s movie that sits on top of a trailer like Trolls a film about a kids toy or Sing a movie about singing animals? It’s no wonder I saw a handful of families leave throughout the movie. From a parents point of view of course anyone attending this movie which is directed by Tim Burton of all directors with children under 12A should have done their research beforehand, but the movie has been miss-marketed though to target a general family audience. So, alas September which has been such a strong month this year for movies ends on a sour note. If you are fan of Tim Burton, then sure add it to your catalogue and the same goes if you have read and enjoyed the novel it is based off. For the rest of us though, best leave this to see on the small screen, that way you’re kids have cushions to hide behind. Miss Peregrine’s Home for Peculiar Children is now on general release in the UK.